I am of course referring to the butterfly, not an unsightly medical condition. 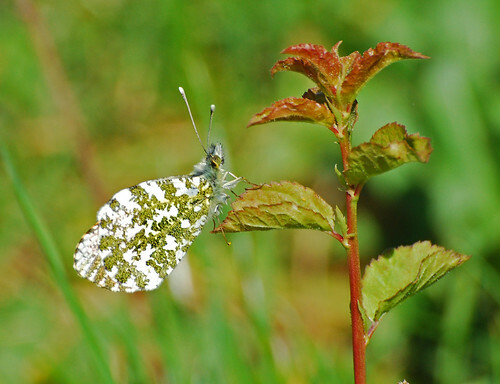 I’ve spent plenty of time chasing them along hedgerows waiting for one to settle on a flower, but in vain, and you may recall that in a previous post I said that the orange tip was extremely difficult to photograph because they rarely settled. 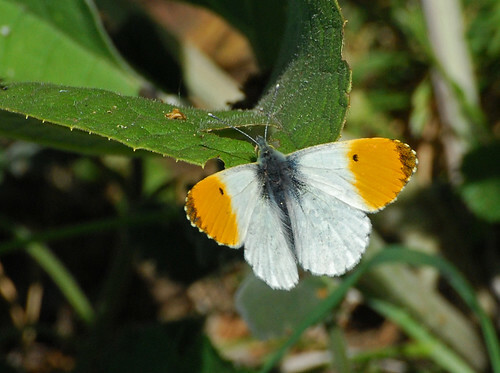 Male orange tip. 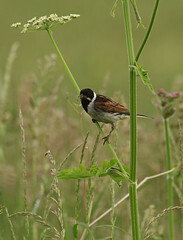 I think his underwings are exquisite, and it’s perfect camouflage when he’s perched on a cow parsley flower head. This fellow was a good omen. 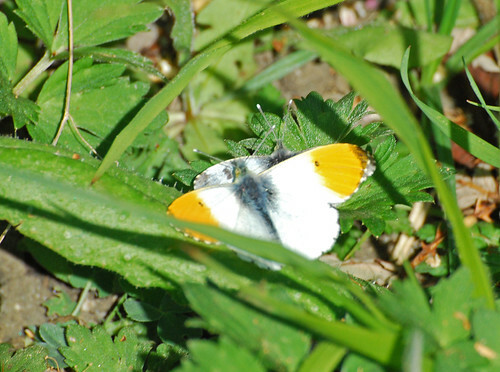 Several hundred metres further along the path where the dense hedgerow thinned out into more open territory lined with cow parsley there were many male and female orange tips and they were all intent on mating on this particular morning. 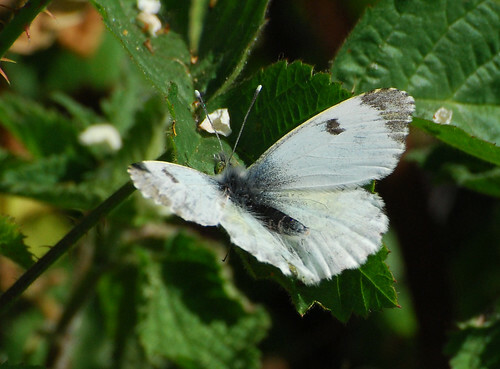 Another male orange tip, this time with his wings open. And the colours on top are gorgeous too. 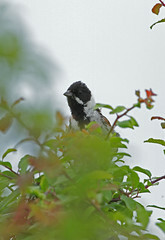 …and a few seconds later a male flew within a few centimetres and her reproductive organs are clearly visible opening up here in response to his presence. 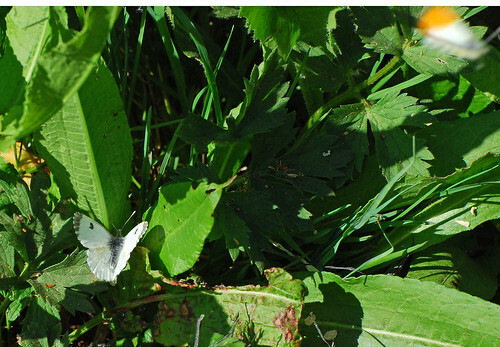 I promised some pictures a few weeks ago of orange tips in the post ‘Local Lepidoptera’ so I was very pleased to capture this series of the mating behaviour so soon after. 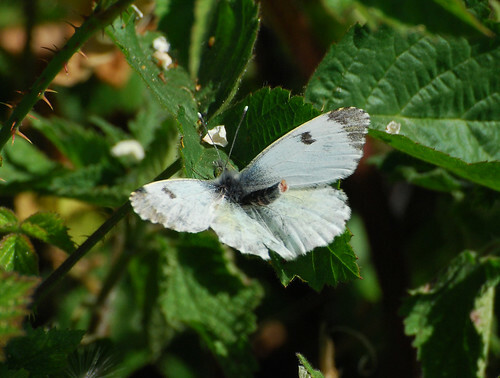 This entry was posted in Butterflies, Countryside walks, Insects, Walks around Cambridge and Histon, Wildlife favourites and tagged Anthocharis cardamines, biodiversity, butterflies, Cambridgeshire, Guns Lane, histon, insects, Lepidoptera, Nature, orange tip, reproductive behaviour, wildlife. Bookmark the permalink. 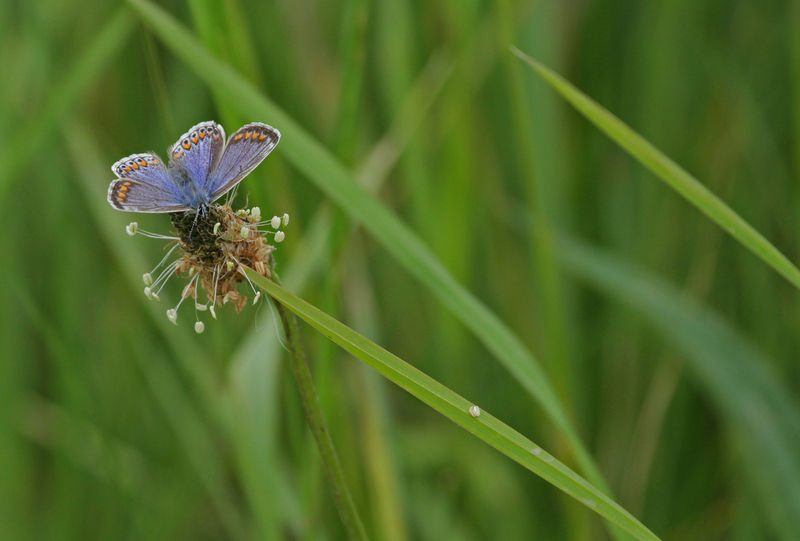 First mating newts, now mating butterflies, you seem to be the Histon equivalent of powdered rhino horn mate! Blimey, I’ve never been accused of that before!